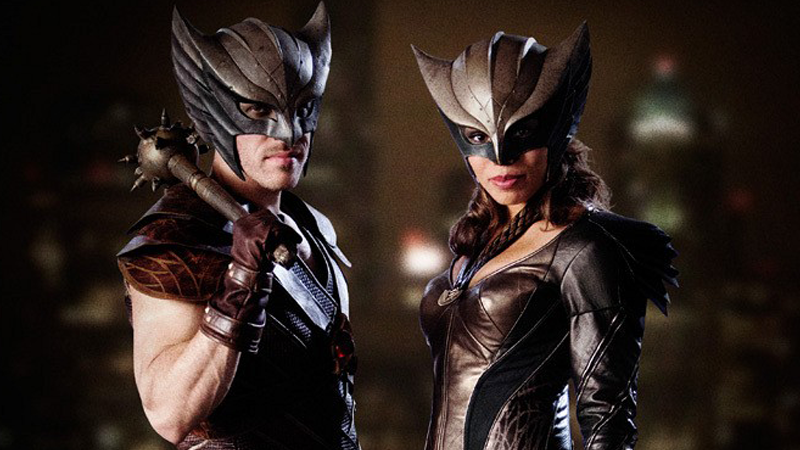 We’ve known for a while that Hawkgirl would be joining the cast of the CW’s superhero teamup series Legends of Tomorrow—and then we learned that Hawkman would be joining her. But aside from a minor tease in the trailer, we’ve not seen either hero in all their glory... until now, that is. A male superhero showing more skin than his female counterpart? A welcome surprise, but Hawkman always did have a penchant for showing off his chest in his comic book looks, anyway. But seriously, I’ve got very few complaints about these outfits. The aesthetic is great, the helmets are fantastic, and also YAY HAWKMAN’S MACE. My only complaint is that I miss the green of their comic book looks—some extra color on these would make them perfect, but it’s the general palette of CW’s DC output that probably restricts that. Otherwise, these getups definitely put the old Smallville attempts to shame. We’ve come a long way when it comes to superhero outfits on TV, haven’t we? Hopefully we won’t have to wait long to see the wings of these heroes unfurled and ready for flight. DC’s Legends of Tomorrow airs next year.